Subaru Impreza STI GDB Version 8, 3 spokes steering wheel with airbag. Fits most Subaru. Rare JDM 22B STI Impreza steering wheel made by Nardi, non air bag with red stitch and carbon fiber STI horn cap. Fits most Subaru models. JDM DC2 Integra Type R, non airbag MoMo steering wheel. JDM DC2 Integra Type R non air bag MoMo steering wheel. 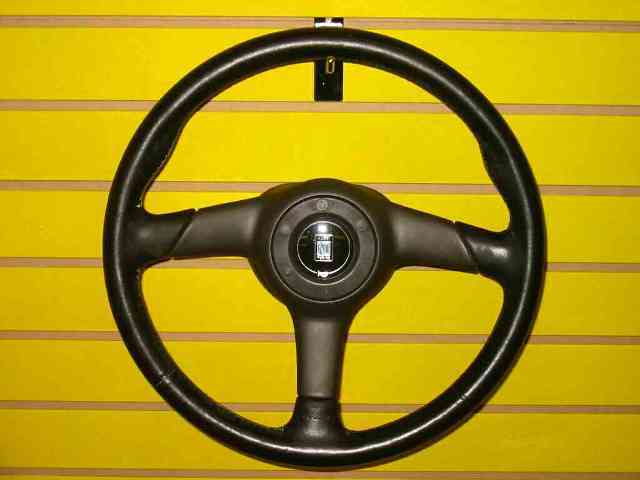 JDM Impreza GC8 Nardi steering wheel with hub.